It was also one of those crafts where I got to feel a little like a crazy person. Melting plastic is kind of smelly. And I’m not an expert, but I think those plastic gases that come out when the beads melt are probably not very good for your health. So just to be safe, I took our toaster oven outside onto the front porch and melted the beads where I knew we’d be safe from the plastic vapors. But it was worth it! Look how gorgeous they turned out! I was inspired by the wonderful posts over at The Artful Parent. 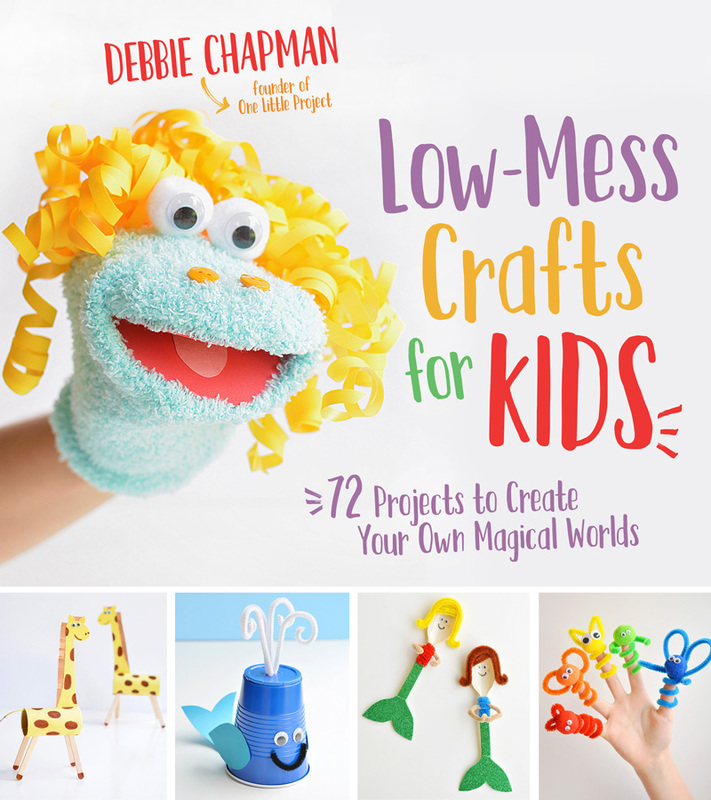 This is a PERFECT craft to make with the kids! 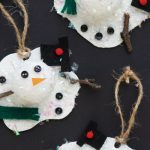 Although, I’ll admit, that for this post, I made these melted bead ornaments while my kids were at school. 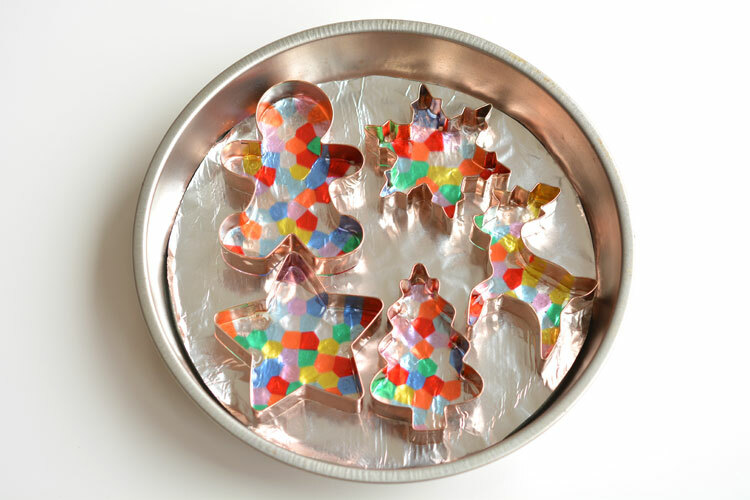 I used the new copper cookie cutters I got for the melted peppermint ornaments I made last week. 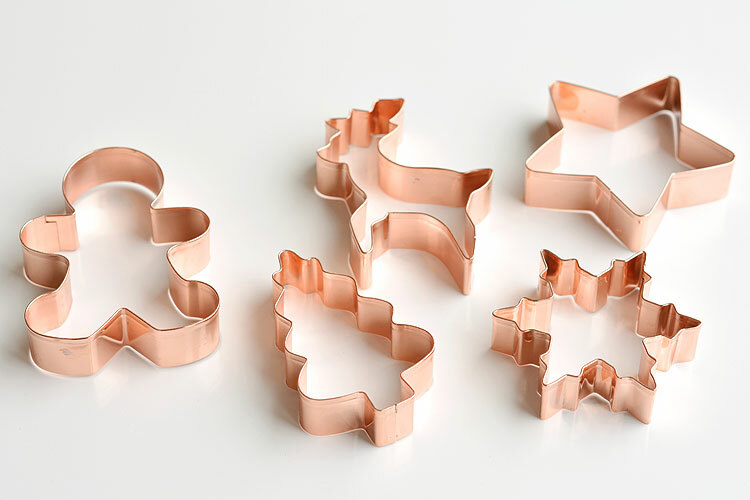 I’m a sucker for gimmicks apparently, because somehow I find the copper cookie cutters to be so pretty! You can use either clear or opaque pony beads (I used clear ones). The opaque beads won’t work as suncatchers, but they will be a bit more visible on the Christmas tree. You can experiment and see what you like the best. I used a round pie plate lined with aluminum foil because it was the only flat pan I have that would fit in my toaster oven. 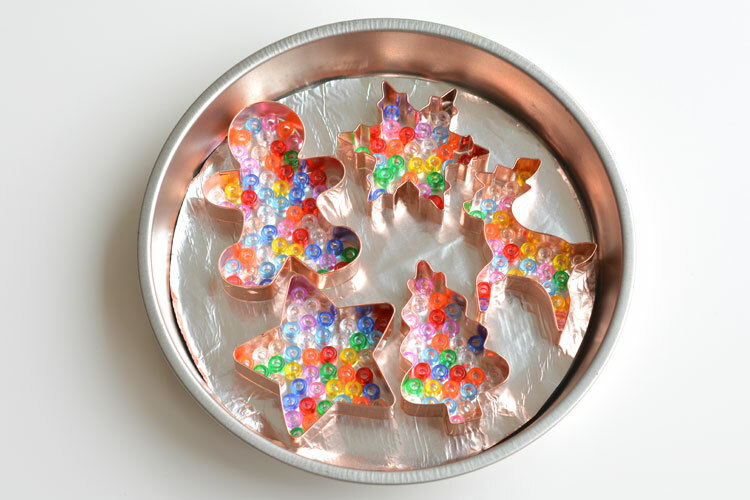 Pour the pony beads into each of the cookie cutter shapes. Then use a toothpick to flip them all so they are standing up in the same direction. 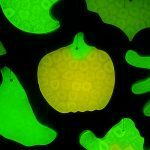 If some are sideways and some are upright the surface will end up being bumpy. Which isn’t the end of the world, but the perfectionist in me wanted them as smooth as possible. Behold! The toaster oven on the front porch to keep the plastic vapors out of the house! 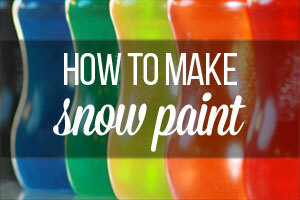 You could also use your barbecue for this. Unfortunately our barbecue died at the end of the summer and we didn’t see the point in replacing it before winter, so this was my only option. It was a very cold day yesterday with a temperature of 2ºC (35ºF) outside. I didn’t see the point of preheating the toaster oven because the moment I opened the door all the hot air was going to escape anyway. So I put the pan in a cold toaster oven without preheating, and then turned it on. 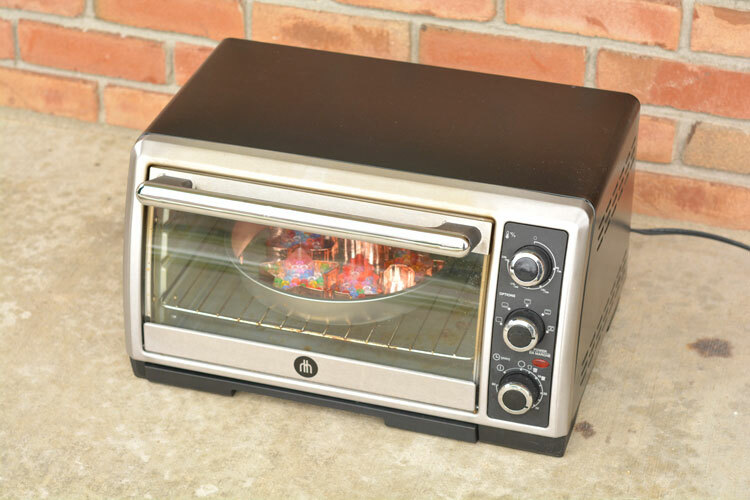 So if you preheat your toaster oven or grill, your cooking times will likely be less. Heck, if you do this on a warm day, your cooking time will probably be less as well! You’ll have to keep an eye on them. Cook the beads until they are completely melted. 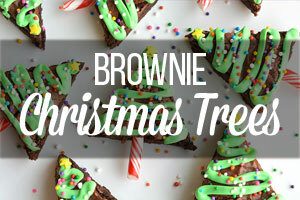 But don’t cook them so long that they start to bubble, or you’ll wreck the ornaments and your cookie cutters. I should mention that I let the pan sit outside on the front porch to cool for 10 minutes. Which would be equivalent to putting the pan in the fridge or freezer for 10 minutes. I’m guessing the cold temperature helped with getting them to release easily. OK, I might have been a little excited at this point. Look how pretty they are with the light shining through them!!! Since I was turning them into ornaments, I had to drill a hole into each of them to hang some fishing line. I used a 1/8 inch drill bit. I was a little worried that the plastic would leak out from under the cookie cutters while they cooked or that the plastic would stick to the cookie cutters, but I had no issues. For the more intricate patterns, I had to pull the cookie cutter away from the shape on all sides to get them to separate, but every single one of my shapes came out perfectly. They are so beautiful for the Christmas tree! The Christmas lights shining behind them really makes them sparkle! 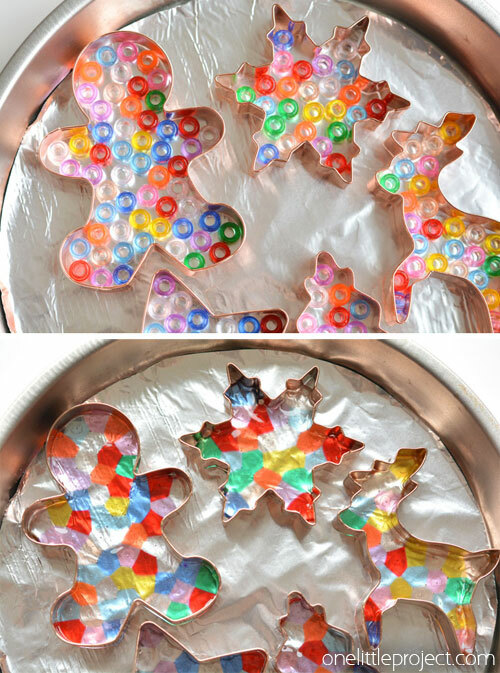 Arrange your cookie cutters on a flat pan lined with aluminum foil. 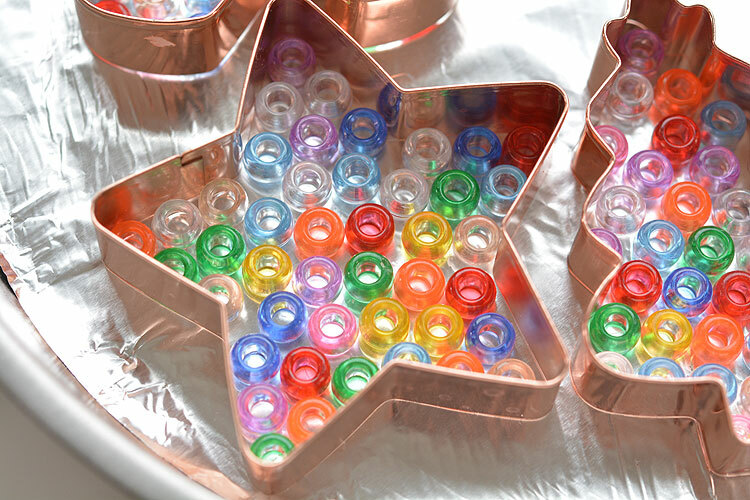 Pour some pony beads into each cookie cutter. 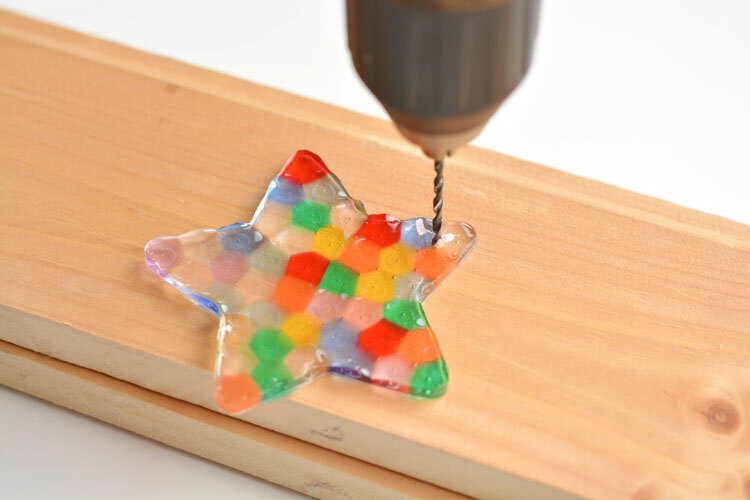 Use a toothpick to stand all of the beads upright and completely fill the cookie cutter. 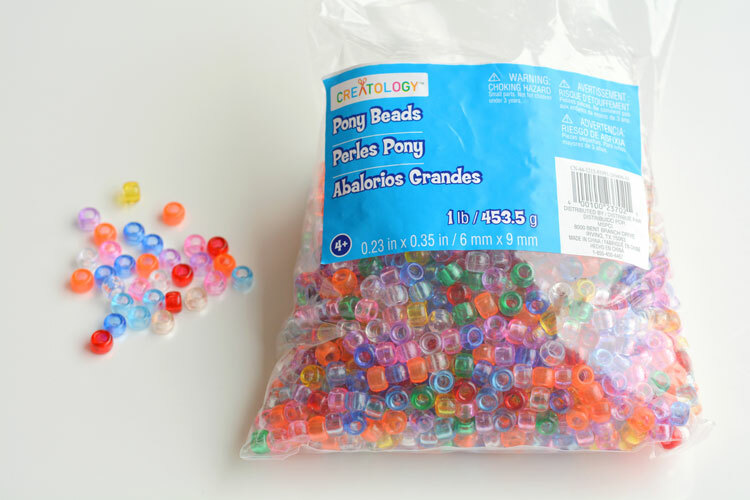 Remove any extra beads. 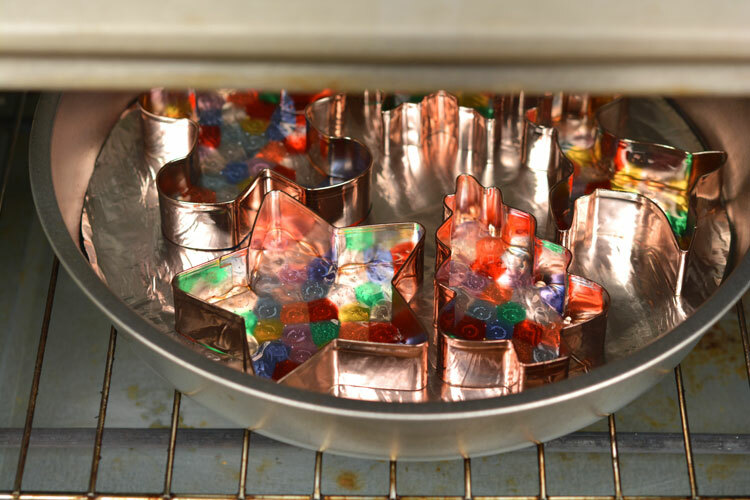 Remove the pan from the toaster oven when the beads have completely melted together, but before they start to bubble. 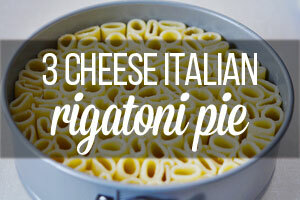 Place the pan in the freezer for 10 minutes to cool. 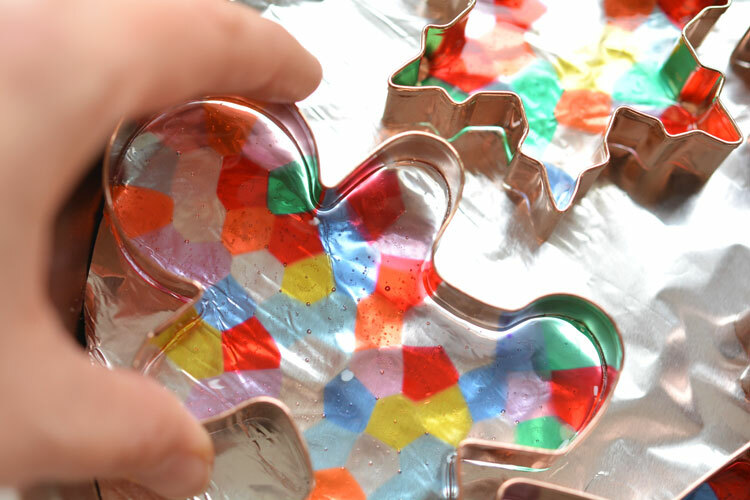 Gently pull the edges of the cookie cutter away from the plastic and push out each shape. 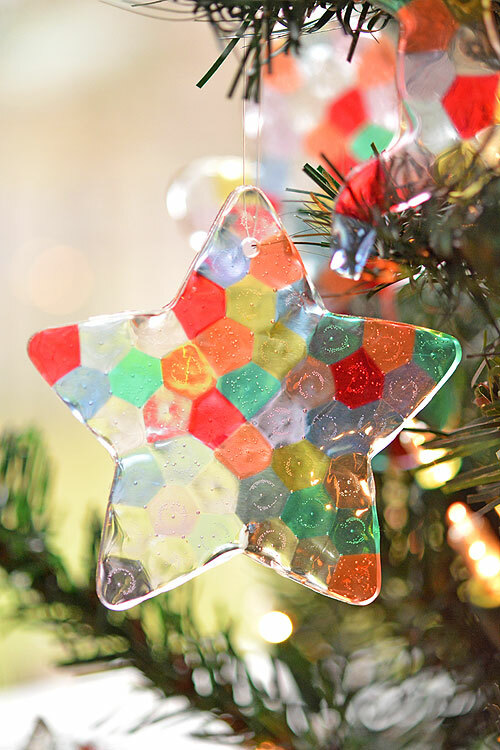 Using a ⅛ inch drill bit, drill a hole through each of the ornaments. 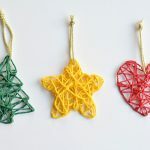 Tie a short piece of fishing line onto each of the ornaments and hang on the Christmas tree or on suction cup hooks in the window. 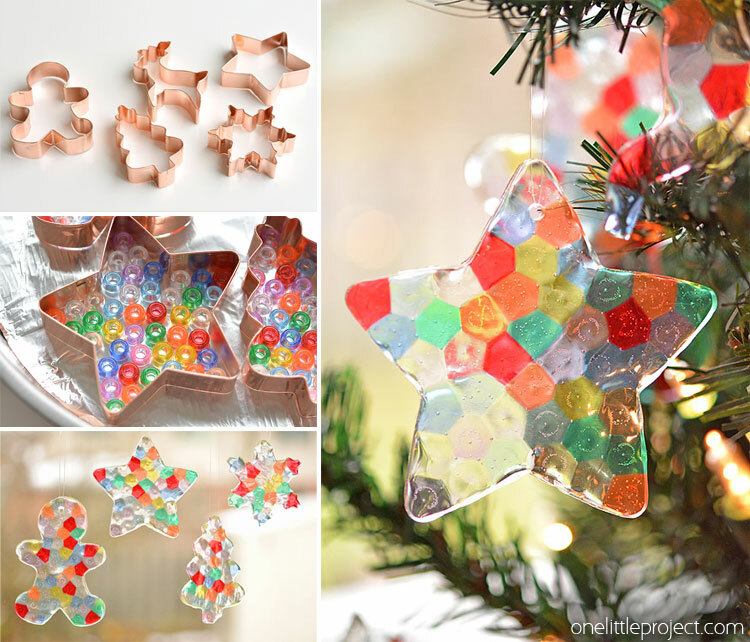 These melted bead ornaments are SO BEAUTIFUL! 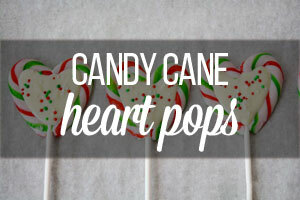 And they are so easy to make with pony beads! 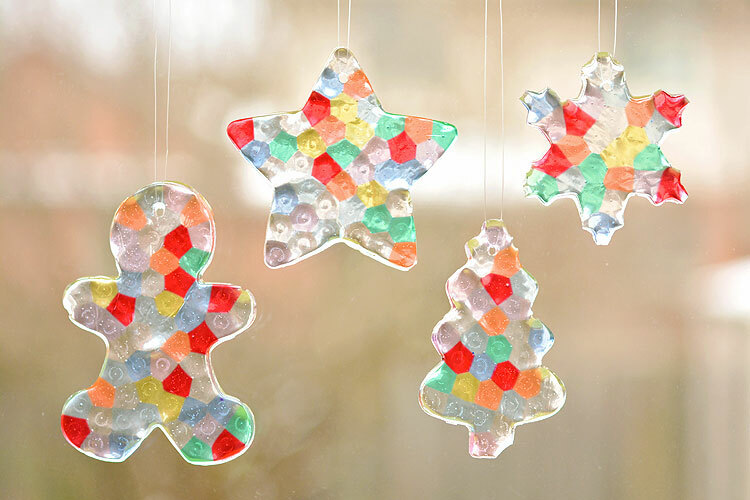 You can hang them on the Christmas tree, or use suction cup hooks on the window to turn them into sun catchers. 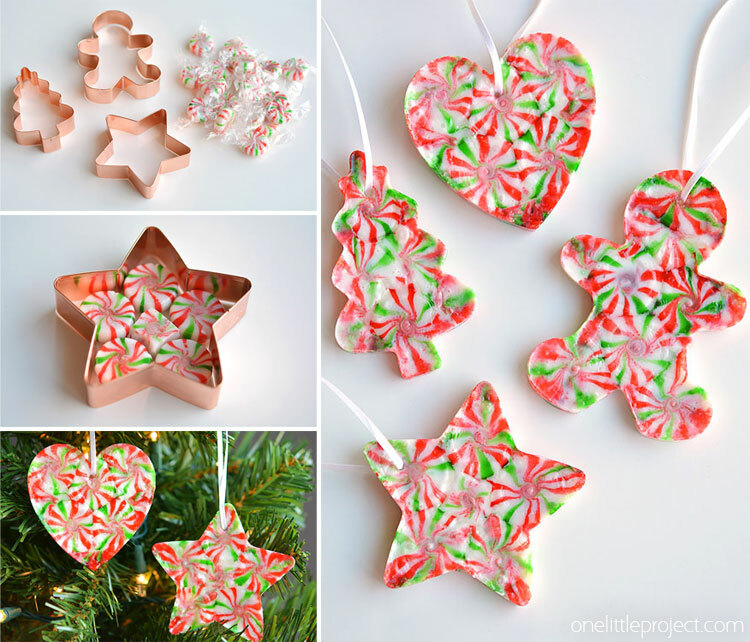 If you’re looking for more fun things to melt into cookie cutters, try making melted peppermint candy ornaments! 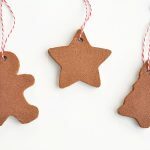 Such a simple and inexpensive holiday craft idea and they look beautiful on the tree! But, I wanted to let you know that when I saw another post like this, it stated that you should not use the toaster, cutters, etc for food after making these because of the plastic vapors. I didn’t follow up to check the validity, but I wanted to pass this on, just in case. 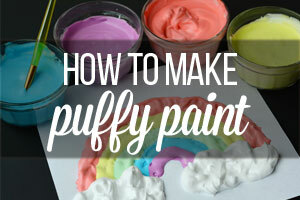 Working with polymer clay, I’ve read the same thing. It’s certainly better to be safe! For my clays I went to WalMart and bought the cheapest toaster oven they had. 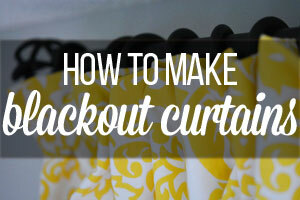 I did the same thing, then you can use it for all your crafts safety. You are totally right, my husband learned the hard way, drank water from a water bottle that was in the car and got very sick! We all learned from that day! Someone already mentioned something about polymer clay and the toaster oven.. Along those lines they tell you not to reuse anything used with clay for food consumption. I would not use the cookie cutters for cookies and designate them for future use as crafting tools. To avoid contamination into food. They say to be safe with polymer clay and that too gives off the fumes that you smelled while baking the ornaments. 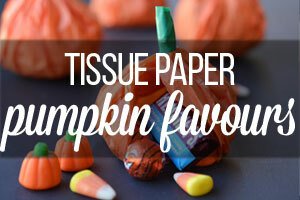 I love this idea and I actually have some mini shape cutters for crafting I will have to try! Does anyone have any ideas of how to get the hole in there without having to use a drill? I’m wondering if you could somehow put a small metal post (or a few toothpicks?) where the hole should be, and then bake it…. I went on Amazon and bought solid brass spacer tubes, 3mm x 5mm, a pack of 100. They fit right into the hole of the bead and are easy to thread through.. I was worried about breaking the ornament when I drilled. I’ve read that some people use similar sized glass beads for the hole. You stand the glass bead upright among the plastic beads in the position where you want the hole. 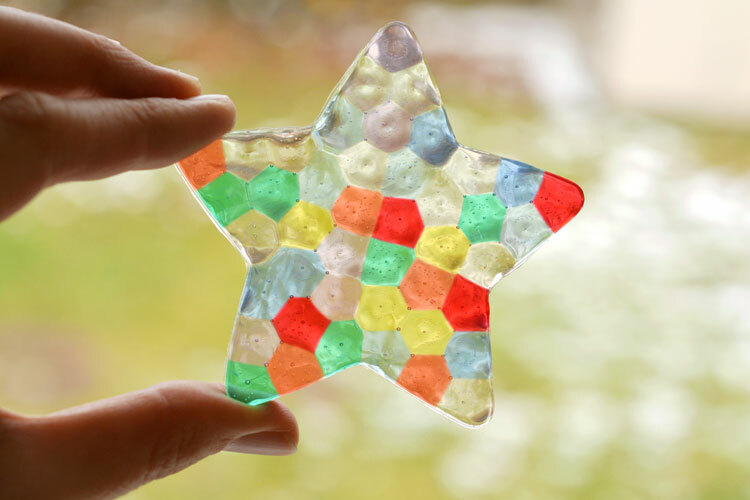 The glass won’t melt so as long as there’s no plastic on top of it that will cover up your hole, you’ll end up with a perfect hole and a transparent bead that should blend with the melted beads around it. Hope that helps! I would like to know this too. I do not have a toaster oven. 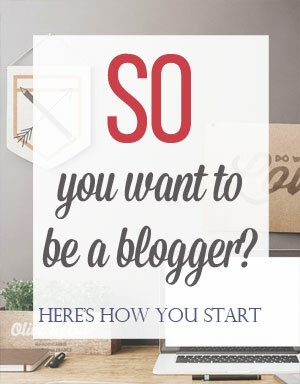 Can u use plastic beads? Mine came out cheap and terrible looking. Any suggestions? Mine had lots of rough edges. What did I do wrong? How do I fix this? It’s hard to say? 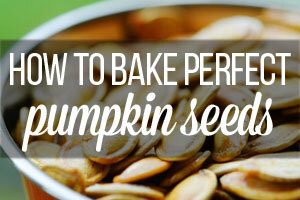 It’s possible that you baked them for too long? If they get too hot they’ll start to bubble very slightly where it meets the cookie cutter which could cause the rough edges. Hi Debbie. 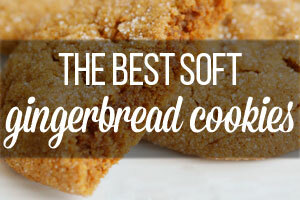 When I try them it won’t fill the whole cookie cutter shape like yours have. I have spaces and holes even though I couldn’t fit any more beads inside the cutter with them staying flat. Any thoughts? I just took a lighter and slightly melted the edges. it worked Great! and for the hole I just used a pliers to hold a nail and melted the hole in. I did get the nail stuck once so i had to try and heat it and pull it out at the same time but I got it out without damaging my ornament. 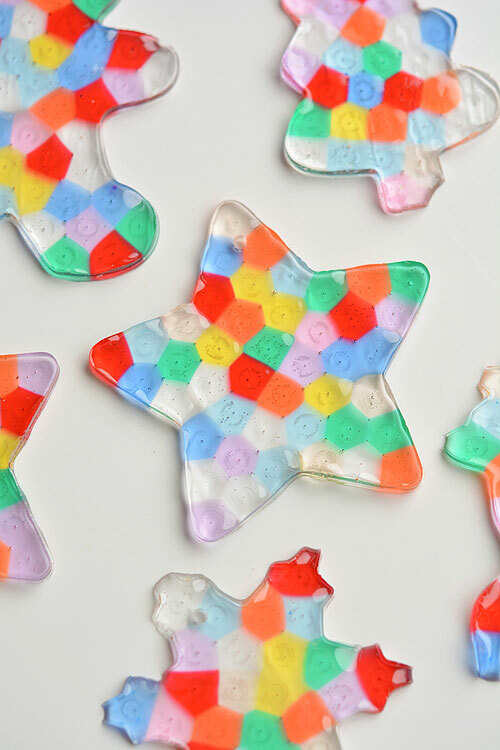 Did you spray anything inside the cookies cutters to keep the melted beads from sticking? No, I did not use cooking spray on the cookie cutters. The melted beads popped out pretty easily without it. Marj I did mine in my regular oven and had no problem. 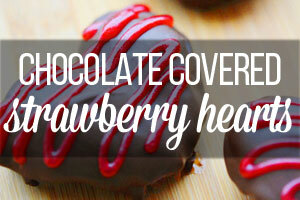 I just attempted this project following the instructions to a T. Around 7 minute into cooking, the beads caught fire. Not sure what caused that; is it possible that 450 degrees is too hot? I’m just really glad I did this in the toaster oven in the garage and not my house. I tried using the grill. 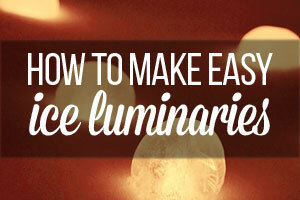 The heat was uneven so therefore, the ornaments melted at different rates. I ended up tearing the foil and pulling them off one at a time as they melted. 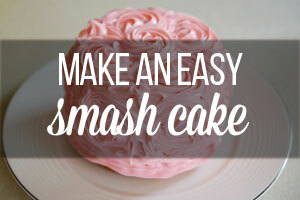 What about using an old kids easy bake oven? 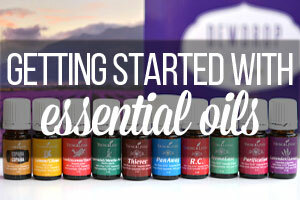 I tried this and was concerned about the toxins that it could cause. It smelled horrible, was hard to breathe and the smell was in my oven took days to go away. Anybody else have this issue? I’d be careful, although it did come out looking very cool. I would for sure use a cheap toaster oven outside if doing this. I also used a nail when I took them out and pushed it through to make a hole while still warm. Good Luck. I was all set to start this project with my 3 kids but now am concerned about fumes – we only have indoor large oven. 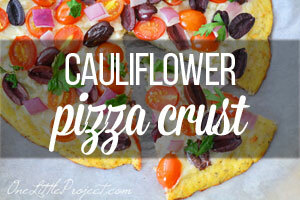 looks like some of you did this with your indoor oven – how was the fume situation?? Obv i’d Be using the oven again and also i have 3 kids under age 5 …. any reliable resources? Wpoiuld leaving doors and windows open do it? Any experience or suggestions welcome! My kids and I did these today for part of an ornament exchange. They were so fun and perfect and exactly as you described. We used the grill outside per your suggestion and are so glad we did. We live in Houston so didn’t have cold climate to let them cool but left them outside instead (at 60 degrees F) and they cooled down and popped out just fine anyway. Thank you for posting!!! I’m going to do this using a bunch of tri-beads I no longer need. I have a tiny amount of many different colors. My OCD side is so happy that I can empty out all the containers without throwing anything away! 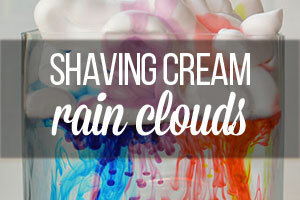 Hello, has anyone tried with a hair dryer? I used my outdoor grill and saw some uneven heating. To deal with that I just turned different burners off or on and moved the cookie sheet around the grill as needed to melt the beads as evenly as possible and keep them from bubbling. That worked great and the ornaments came out of the cutters in great shape. The melting took longer than it probably would have in a toaster oven, because the heat was lower, so I had to be patient, about 20 minutes. I drilled 1/8 inch holes and hung my six ornaments with fishing line, and that worked great, too. This was a wonderful project! As long as I clean the grill before using it for food, I am not too worried about the fumes issue that some here have mentioned.